We all are known that understanding customer’s need is very important to stay in the competitive world and also crucial to make a better relationship with the customers. The Customer Relationship Management (CRM) software lets you stay ahead in your business competition by streamlining the entire process and allows tracking activities of your customers. You can implement the concept of CRM system on almost every operation of your business. Aside from these, there are so many benefits associated with applying CRM system software in your business. Let’s see what all are those!! 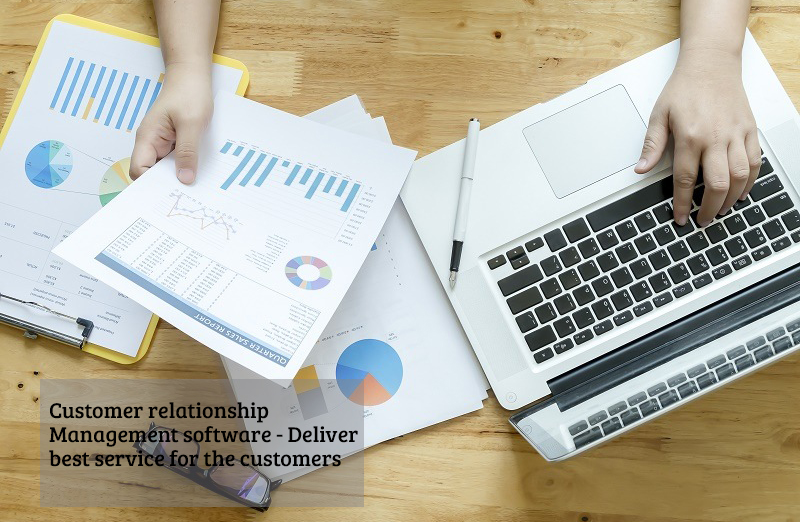 Customer Relationship Management software is available for various issues in the business process like managing the task, sales, social media, selling and more. Not only you, but most of the business people face a lot of problems and even a successful businessman also struggles to manage appointments and monitoring his success in the business. This is where CRM solutions have been introduced for task management, sales management, and so on to maintain a positive relationship. For example, CRM programming would send you the notification message or email about the due date of any task, scheduled appointments, meeting, upcoming events, birthdays, and like more. Therefore, you can decide or reschedule your programs based on the priority to make your clients feel good. Today’s scenario in a business world highly recognizes both marketing and sales, but these terms are depending on the customer orientation and service response. The sales CRM software is developed as a customized software solution that ensures customer needs and as well as enhances the communication between sellers and customers. By solving the issues of customer very fast and effectively, it helps to improve the reliability of your service. Finally, the principle concept of using this software is to automate the sales by implementing promotional methods of sales. Apart from that, this CRM solution is also used for various reasons depending on the users. There are always new releases of the CRM solutions in the present market, so many vendors are also on the market to sell CRM software. With huge options on the line, it should be hard to determine the right option for your organization. To pay for the best CRM, you have to review the preliminary vendor, their products, and services. Prior to start checking vendor details, you must ensure the business requirements or technical requirements of CRM solution for your business process. This approach will consume more time but results in a cost-effective decision to develop your business. Thus, you must consider all these factors before deciding vendor for buying CRM solution for your organization. Implement the right software in your business to develop further.